or an NHRA National event. Roy McKinney on the left did it in Gainsville. 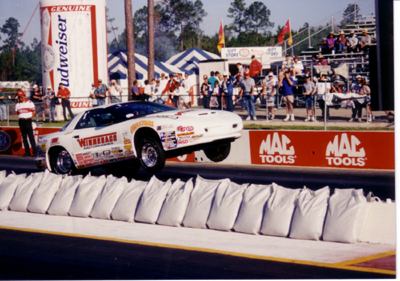 Fl at the Gator Nationals in 1997. Ran 9.79 - a one time best ET. 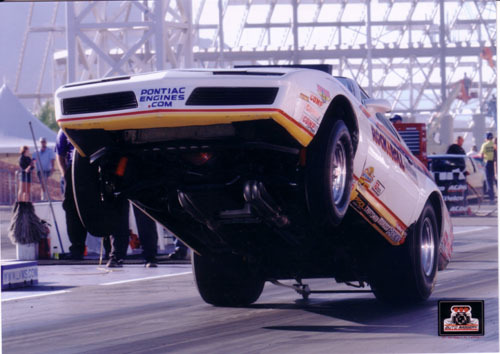 They're SS/IA has all other Pontiac powered SS/IA covered by more than six tenths. That's his son Mike on the right. You read all about it on the PERFORMANCE LINK. Phil got the new car into the nines in GT/FA. A best of 9.94 so far. In killer sub-mine shaft sea level conditions. 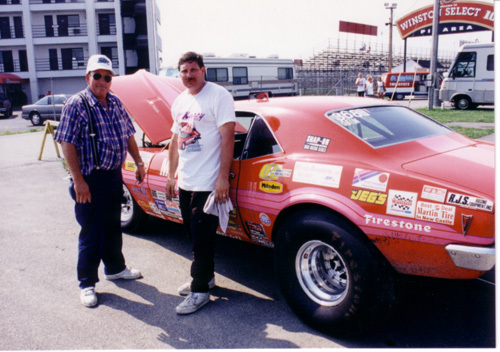 Greg Andersons Pro Stocker ran 207 mph!!! 9.94 backed up with a 9.96. Congrats Steve. 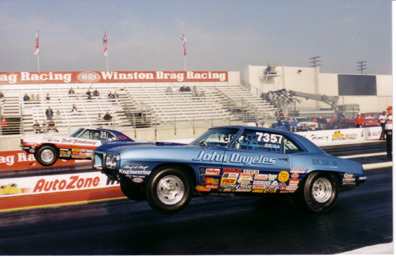 And of course now there's the quickest PontiacPowered NHRA Super Stocker in history as of Feb 2004 - Bruce Fulper..
9.67 at Pomona Feb, 2004. See the MAIN page for more info.